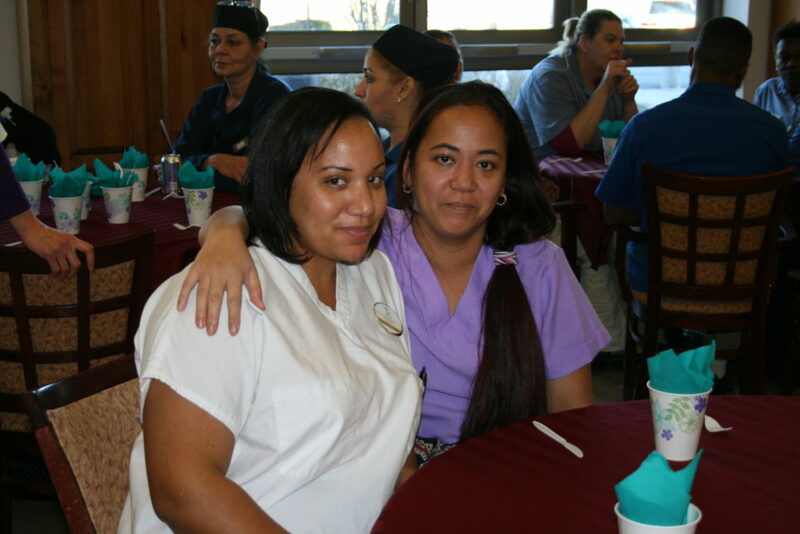 On November 22, we paused for a moment to honor a very special group of extraordinary people, our staff members. 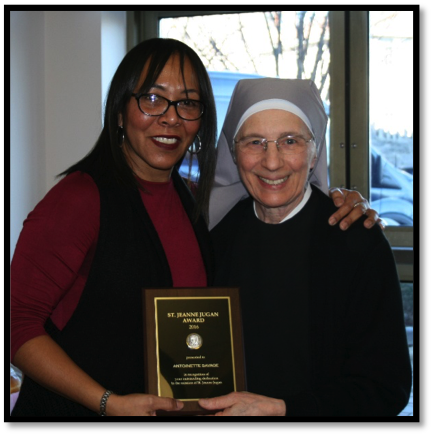 On this occasion, we honored Antoinette Savage, certified nursing assistant, nominated by her colleagues to be this year’s recipient of the Jeanne Jugan Award. 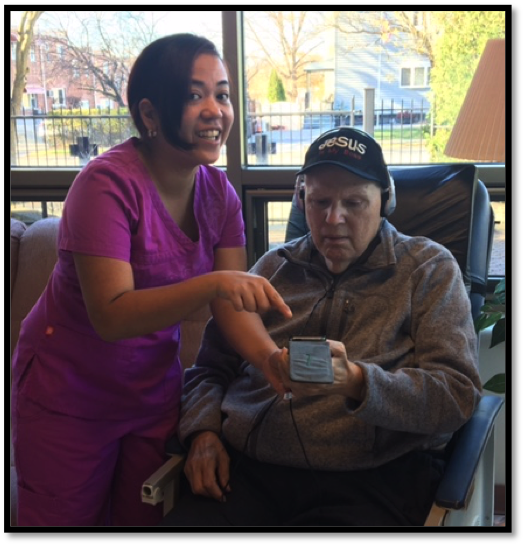 A team player, Antoinette provides compassionate care to the elderly while bringing them joy and by going the extra mile. She always wears a smile to work, stating that she considers her job to be more like a vocation than an occupation. 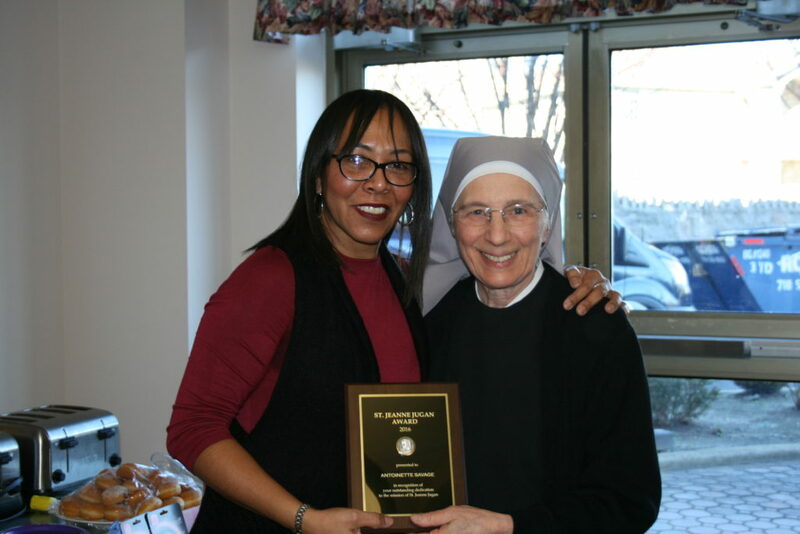 In accepting this award, which highlights the qualities of our humble and caring foundress, St Jeanne Jugan, Antoinette expressed gratitude toward her coworkers while acknowledging their exceptional qualities and devoted service to our elderly Residents. 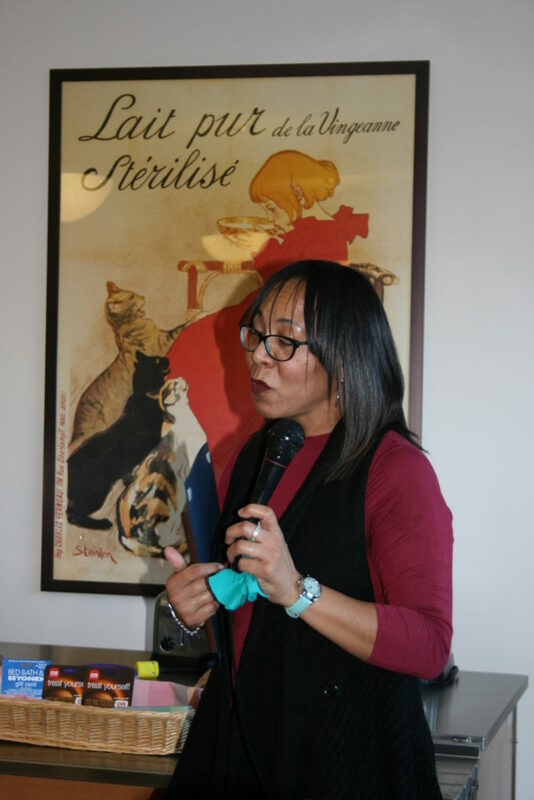 Antoinette, visibly touched to have been nominated for this distinctive award, allowed all of us to feel special and share her in limelight through her kind and heartfelt words. Congratulations, Antoinette. Special recognition was also given to two staff members who have shown “Extreme Availability” to all of us over the past year: Grace Lowman, LPN and Patrick Buckley. 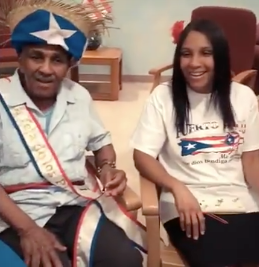 These two individuals consistently exhibit generosity and self-sacrifice in their quiet availability and devotedness to all of us, day in and day out. We owe them a great deal of gratitude. The Home would not run as smoothly without them. We also expressed gratitude toward two staff members who have helped forwarding the Home’s goals for this year in a commendable fashion. Going the extra mile for the Music and Memory Program, Mylan LLamos, CNA has taught coworkers how to use and manage the iPods, has been very vigilant to be sure that the Residents’ devices are charging correctly & functioning properly, and that the Residents have what they need to be able to profit the most of this wonderful program. 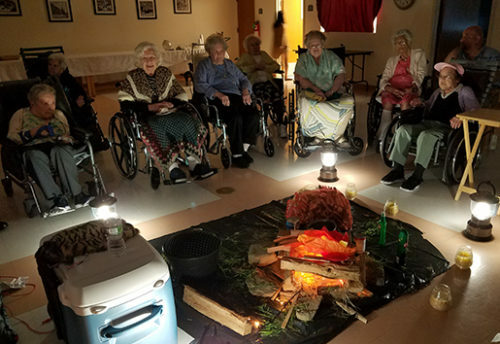 Roberta Damen, MSW has taken responsibility for the Tea Group (part of the EDGE program) for those Residents with cognitive deficits who need a special setting to be best able to share with their fellow Residents. 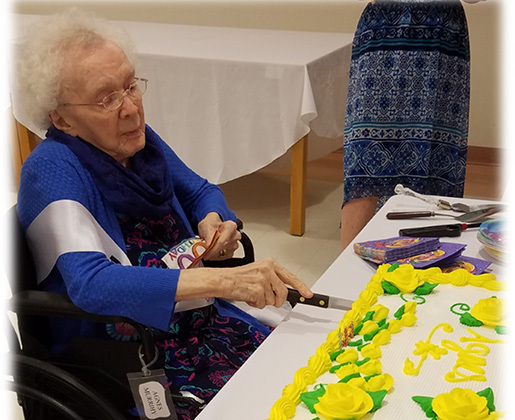 With coworkers to assist her, she has taken leadership of the group to ensure that those who might get lost in a bigger activity have the chance to be meaningfully engaged with others in a courteous and respectful manner. 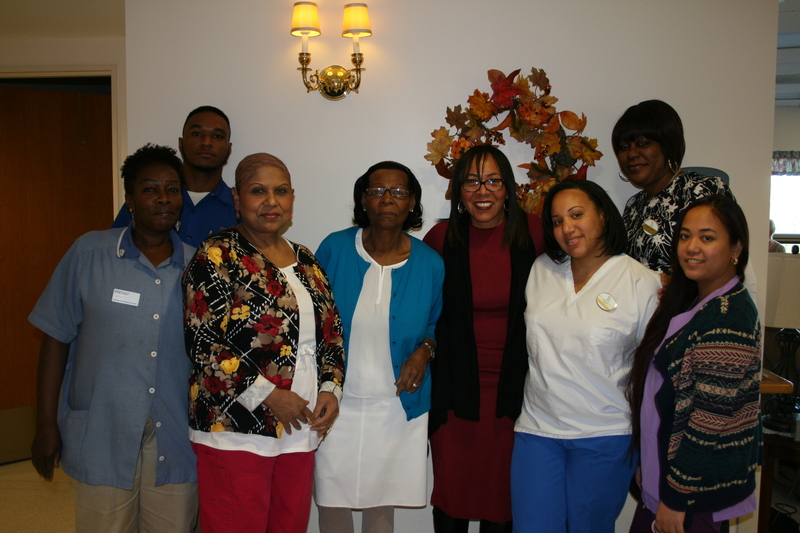 Employees having attained 10 years of service at the Home were commended: Eli Cerbo LPN, Lita Campos CNA, Joan Earl-Whitaker LPN, Margaret O’Donnell dietician, Una Brown CNA, Dawnall Chambers CNA, Jocelyn Jamelo RN, Mary Taylor CNA, & Andrea Williams CNA. 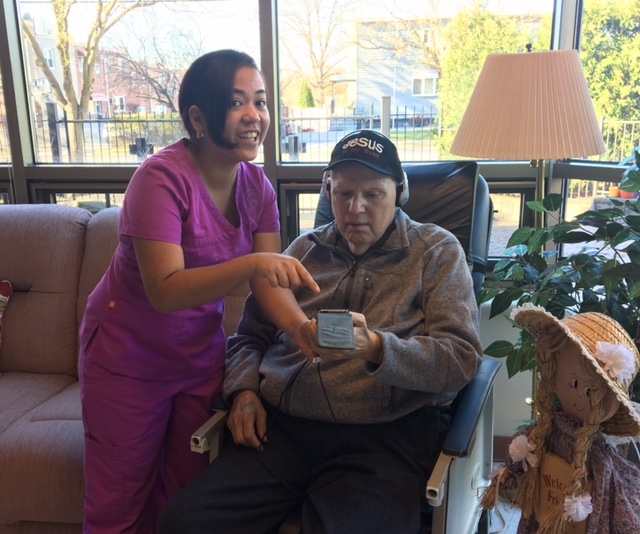 Maryln Richardson CNA was recognized for 5 years of service as well. 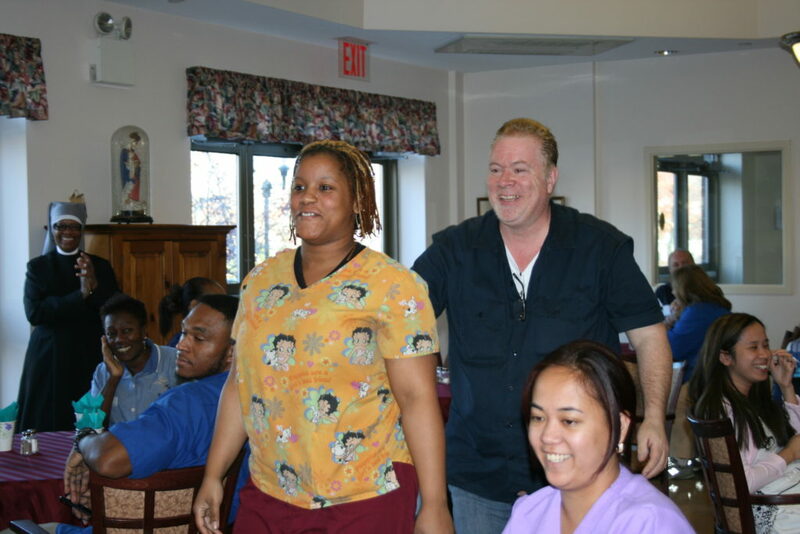 Also acknowledged during the luncheon were nine staff members with perfect attendance/punctuality: Hannah Barberos, RN, Al Marie Kane CNA, Bernadette Manicdao, CNA, Kim Pasquale, CNA, James Reed, Director of Maintenance, Audrey Richards, LPN, Antoinette Savage CNA, Mary Taylor CNA, and Marguerita Williams CNA. What would we do without such a devoted group of individuals? Jeanne Jugan Residence would just not be the same!! !